The use of paper has been increasing at a greater rate than usual, without knowing what results could it have overall. Greater use of paper has led the world into many disadvantages. It is time for us to take an action and think for once on what could happen if we reduce the use of paper in our daily lives. Cutting down the use of paper will give us many benefits. Before we could talk about the advantages it could bring, we must first understand as to why reducing paper consumption is important. The entire population is aware of the fact that paper comes from trees. According to calculations, a single person uses up to 10,000 papers sheets in one year. Imagine the quantity of paper utilized by every person in this world altogether. It will surely be countless, which means there are numerous trees being cut down. Basically, we are putting harm to our environment. Using or wasting paper at this rate will result in deforestation. This is why we must understand the benefits of reducing paper use. What are the benefits of reducing paper use? It is entirely impossible to work without using paper. Every office requires the use of paper in one way or the other. Although we have the modern facility of computer for saving our data, we still feel the need to use paper in a few things. Therefore, we must try to use less paper as far as it is possible for us. It is because in this way we could save our world. The sole benefit of reducing paper consumption is saving the world. The climatic changes we are witnessing at this level will be reduced at a greater rate. The basic advantage is gained by the environment. Receiving a ton of papers requires 24 trees to cut down. On the other hand, transporting these papers needs above 350 liters of water and much consumption of power. All this could be saved if we reduce our need to use paper. Not only our environment can benefit from the reduction of paper use but we can also gain advantages, such as saving money. When you will be using less paper then you will not feel the need to buy more papers. You will be saving your money overall. Firstly, your paper costs will decrease then your printing costs will also decrease. You must understand that all these things are interrelated. When you will use less paper, you will print less, you will use less ink lesser, and you will save electricity. One must keep their money safe instead of wasting it in the bin. Spending your money on paper towels is similar to throwing your money in the bin. Your financial status can be affected with spending money on paper towels. If we sit and compare a paperless office with an office full of papers, you will witness that gaining access to documents is faster on electronic devices than on papers. Searching for a desired paper would require more time. Therefore, reducing the use of paper will also let you save more time of your life. It is also noted that communication between clients is much easier through emails rather than letters. It saves a lot of time and money for the business. Backing up your business documents is also a plus point of using devices instead of letters. It becomes difficult to keep a track of all letters you send and receive. With using computers or other devices, you can easily keep a folder without requiring much space. Security is another benefit gained of using emails. Your confidential data is secured on the computer. If it was printed on a paper, anyone could get their hands on it. Papers are not only connected with offices but we use papers in different forms in our houses as well. We use paper in various ways in our homes for example, paper tissues, etc. More use of paper towels means you will be throwing it in the bin more. It will eventually increase garbage producing pollution in the environment. 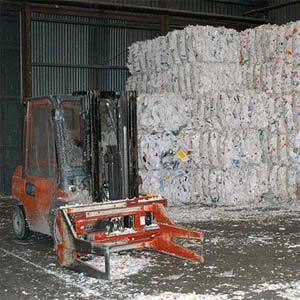 How to reduce paper consumption? The primary ways to lessen the use of papers are very straightforward. Since there are different places in which papers are involved, there are various ways to reduce the use. The major place where one uses papers is in offices. Offices are full of papers in every shelf and at every desk. Following are some ways you could follow to reduce the consumption of papers. It is evident that we cannot entirely omit out papers from our offices so we are deciding to reduce its use. If your document is necessary to be printed then give it an edit. Recheck your document once or twice to avoid any kind of mistakes. This will reduce the need to print the same documents two to three times. Instead of sending letters, you can always send an email. There is no need to print it out and deliver it. It only requires you to type it and send it through an account. You can also use USB to transfer documents from one place to another. Instead of printing it and sending it to some other department, you can simply copy it in a USB. If you really wish to reduce the use of papers in your business then refrain from adding postal mailing address. When you will not give any postal address then you will not be receiving any letters. Our homes are a place which also uses vast amount of paper in one way or the other. Below, you will come across a few points which will let you save more paper. Some people tend to use paper plates in parties and gatherings. It is evident that you will not be using those paper plates again but you can always use durable and washable plates. Try to put in washable plates that can be reused by you in later days. Most people are in a habit to make lists, notes and announcements for their daily routines. They use sticky notes or a small book of to-do list. You can always replace the sticky notes and books with a small whiteboard. It can be placed in a small corner of your kitchen where you could add your everyday business. As a substitute of wasting papers each day, you can use a white board to list down your routine. Bills are also a way which makes us use paper. Rather than paying bills in banks, you can pay them online. You will be receiving an e-receipt which can be saved on your electronic devices, whether a computer, laptop or tablet. When we talk about using papers in our homes, the most common use is found as paper towels. Paper towels are a form of paper we use in most things we do in our daily lives. The basic use of paper towels are in our kitchen. Rather than using paper towels, you can use cloth napkins. Cloth napkin will not be wasted since they can be washed to be used later on. How many paper towels do we consume every year? As stated before, paper towels are largely used in houses. After some calculation were held, is found out that there are about 13 billion pounds of paper towels used every year. It means that only one person uses over 45 pounds of paper towels per year. It is a significant number to use in an entire year. You can easily imagine how much paper we waste while using paper towels. We must reduce the use of paper towels in some way. What are the ways to reduce use of paper towels? Firstly, you should follow some simple steps that can help you in reduction of wasting paper towels overall. There are numerous places containing hand dryer. Whenever you get the opportunity to dry your hand through a dryer, abstain from using a paper towel. Public bathrooms include more than one hand dryers but even then people go for paper towels. Make it a practice where you put hand dryer as your first priority and then paper towels. If you do not have the facility to dry your hands through a hand dryer then you can always use a paper towel. But, there are still places where you can keep a control on yourself. Before using paper towels, you must shake your hands enough to let water droplets move away from your hands. In this way, you will need less paper towel to dry your hands. Overall, you are recommended to take a small piece of paper towel to dry your hands. Generally, people take a large piece out of the tissue roll without even noticing it. After using, all of it goes into the bin. When your hands can be dried with a small piece then why use a bigger piece of paper towel? Think about it! Investing is another way to stop or reduce the use of paper towels. If you are serious about the reduction of usage of paper towels then you can plan on investing money on a hand dryer. You can buy the best hand dryer once and stop using paper towels. The cost of hand dryer will be lower than investing money on paper towels that will eventually end up in your dust bin. Now you must know that reducing the use of paper towels is eco-friendly overall. It will help you live a healthier life in ways you would not even know. Another way one could decrease the use of paper towels is using nanotowels. Nanotowels are an innovation which is made from materials other than those used to make normal paper towels. Nanotowels are inexpensive to buy. They are not costly. They might look expensive but they will save you a lot of money as compared to paper towels. It can wipe out water, dirt, dust and other unwanted items from your hands. The most technologically advanced nanotowels are the Water Liberty Nanotowels. They are not harmful to our environment in any way. The best part about these towels is that they can be used again. They are not disposable like paper towels. You can use nanotowels, wash them and use them numerous times again. Using nanotowels is a safe way to dry your hands, economically and environmentally. It does not use trees to dry your hands. Using nanotowels will give trees a break from the increased use. Nanotowels do not contain any chemicals in their production that could harm your skin in any way possible. They are designed to protect the environment. Comprehensively, it is a healthy way of cleaning yourself. The only problem with paper towels is that it is not reusable. This item is for disposable use. It cannot be used more than once which is why one needs more paper towels. More paper towels mean more money to spend on it. The more money you spend, the more money you waste on paper towels. Not only our money is concerned with using paper towels but nature is being threatened too. Due to increased demand of paper towels, there is more need to cut down trees and process them. Treating them requires energy and money overall. So, we can easily append that reducing the use of paper towels is a better way than spending money on it. Changing your routine to lessen the use of paper towels might be a small change to you but it will present an enormous difference. This difference might not be visible to you currently but it will leave significant impacts on the environment on a long-term basis. Think about it and change your habits of using extra paper towels where there is no need. Try to refrain yourself from using extra paper towels and replace it with nanotowels.